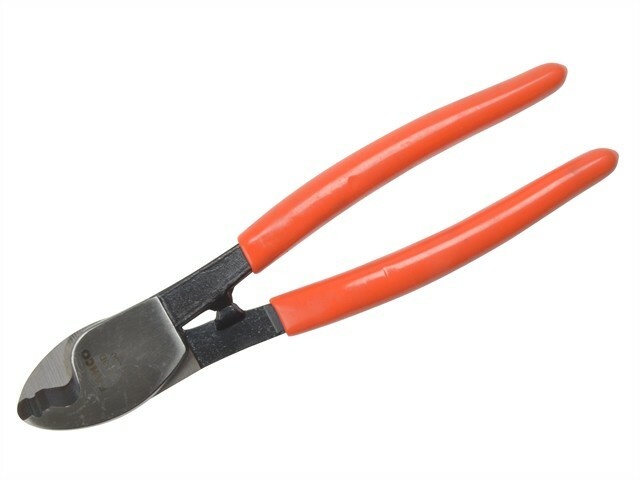 The Bahco 2233 Series Heavy-Duty Cable Cutters/Strippers for cutting copper and aluminium cables. They are made from drop-forged, carbon steel. The forged surfaces are black finished and mirror polished. The handles are fitted with PVC dipped sleeves for a comfortable grip.